Artistic expression when it is often unexpected has the most power to thrill and wow. Mention the word corporate event invitations and thoughts of stark fonts and cold white papers often come to mind. 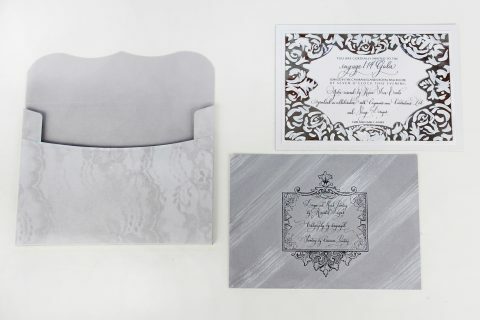 At Momental we’re inspired to infuse your Luxury Corporate Invitations with the personality and authenticity that custom developed artwork and design can provide. Corporate retreat invitations, not-for-profit fundraiser invitations and even client gifting can evolve from just ordinary to innovative and alluring at the stroke of a paintbrush. Kristy and her team of artisans are here to capture your audience’s attention with stationery details they’ve likely not seen before. Wood veneers, dip dyed ink treatments, holographic foils, and even found objects like wooden cigar boxes become our tools to express your concept. – Boutique small business looking to reflect their personality into a special event. – Large corporations needing a bit of fun infused into client event communiqué. – Marketing professionals heading up creative gifting campagins. – Event planners that want to increase attendance at their next fundraising event.